Business operators and advisors are being warned that the Australian Tax Office (ATO) are reviewing tax incentive claims made for ordinary business activities. The following review is intended to target the misuse of R&D claims, and anyone deliberately exploiting the tax breaks will be pursued in court. A company registers one or more activities for the R&D Tax Incentive. Some or all of the activities registered are broadly described and non-specific. For example, projects may be registered instead of the specific activities undertaken. Some or all of the activities registered are ordinary business activities that are not eligible for the R&D Tax Incentive. Some or all of the activities were undertaken in the course of their ordinary business activities and re-characterised as R&D activities at a later time. The company claims the R&D Tax Incentive for expenditure that is not on eligible R&D activities. Expenditure claimed may not relate to eligible R&D activities. Taxpayers may not be applying adequate levels of governance and review to the registered activities and the claims made for the R&D Tax Incentive. Only ineligible ordinary business activities are being conducted and no R&D activities. The scope of claimed activities includes a mixture of eligible R&D activities and ineligible ordinary business activities. R&D activities which are being carried on have transitioned into ordinary business activities but claims for the R&D Tax Incentive are still being made. The purpose if the activity is not sufficiently concerned with the generation of new knowledge. Knowledge generation is merely incidental to an ordinary business activity. Activities which were formerly carried on to generate new knowledge have achieved that purpose and are now ordinary business activities. The activities do not involve an application of the scientific method; that is, proving or disproving a hypothesis through experiments. The activities are not directly related to experimental activities or do not have a dominant purpose of supporting such activities. Project management, environmental, commercial or economic risks are mistaken for technical risks. It has also been observed that often some of the expenses included in the calculation of the R&D Tax incentive claim are not for amounts that relate to eligible R&D activities, for example, ordinary production costs of products sold to the market in the ordinary course of business. Expenditure is included as part of overall overhead expenses which does not relate to R&D activities, eg: Advertising and sales expenses. Overhead expenses are apportioned using a method that allocates an unreasonably large amount to R&D. 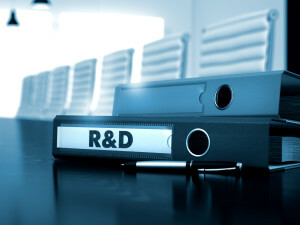 Companies are expected to distinguish eligible R&D activities from ineligible ordinary business activities at the time of registration and throughout the conduct of the activities. Proper, detailed and contemporaneous records must be kept to support the registration application and the claim for the R&D Tax Incentive. Suitably qualified company officers or employees who understand the relevant activities failing to undertake reviews and approvals of the company’s R&D registration applications. Company management deferring responsibility for distinguishing ordinary business activities from R&D activities to external advisors, without checking whether the external advisors’ understanding of the eligible activities aligns with that of the company’s officers or employees. Accounting systems or records being kept which do not contemporaneously or adequately segregate R&D expenses from other expenses. The ATO and AusIndustry are working together to alert taxpayers and their advisors to practices that may result in increased risk of registering ineligible activities and incorrectly claiming the R&D Tax Incentive. Advisors who may apply high-risk practices are involved in the preparation of the registration application and/or claim. The registration of R&D activities continues with the use of broad descriptions that fail to distinguish them from ordinary operational business activities. The level of expenditure claimed for the R&D Tax Incentive is high for the industry or stage of business. Innovation and Science Australia will continue to issue Findings to companies confirming whether activities qualify for the R&D Tax Incentive. Review registration to ensure that only eligible R&D activities are registered. Ensure R&D tax incentive claims are correct and expenditure related to ineligible ordinary business activities is not being claimed. Keep records of R&D activities to adequately support the associated R&D Tax incentive claim. Phone ATO: 1300 139 051. Ask the ATO for our view through a private ruling or apply for a Finding from innovation and Science Australia. Apply to AusIndustry to amend or withdraw the registration or make a voluntary disclosure before being notified of an examination of tax affairs. It is important to know that penalties may apply if you have incorrectly claimed the R&D Tax Incentive, but will be significantly reduced if you make a voluntary disclosure. Registered tax agents, including R&D Consultants, advising companies to incorrectly claim ordinary business activities may be referred to the Tax Practitioners Board to consider whether there has been a breach of the Tax Agent Services Act 2009. Promoter penalty laws may also apply under Division 290 of Schedule 1 to the Taxation Administration Act 1953 for promoters of schemes to access the R&D Tax Incentive for ineligible activities. 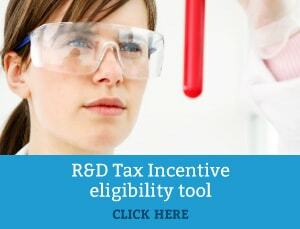 For more information about eligible R&D activities, what can be claimed under the R&D Tax Incentive and recordkeeping, refer to Research and development tax incentive. If you have any further questions, please contact one our R&D tax specialists.